If you’ve never heard of John Chow online, then you may have been living under a rock for the past 10 years. 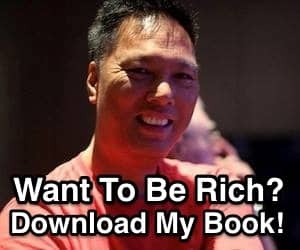 John Chow is one of the most successful bloggers of all time. Many people read john’s blog daily to learn his tricks and tips. John started his blog back in 2000 as a way to communicate with his family, so they could see what he was up to. It wasn’t until later on around 2007, he started monetizing his blog to make money on the internet. And has John become an internet sensation. This just goes to show anyone, that it can be done. It’s very possible to make money online when you have drive. Many times skill is learned and developed later on. The fantastic thing about John is he never gave up. John’s site was actually kicked out of Google at one point for bad links, but he was able to work this out and regain his entry into the world famous search engine. But what’s most impressive is John was making money this whole time. John built up his email list and was able to conduct business as usual until Google let him back in. This goes to show you, the money really is on the list. While most marketers focus on small sales, these days John prefers to focus on selling high ticket items. This gives you more bang for your buck. John explains more about this here. However, John is doing everything right. He has the drive and willingness to succeed first and fore most. But he has everything in place where it all needs to be. He has traffic, an email list, a social following, great content and more. John also uses his email list for blog posts, this is how he get traffic to return to his blog daily. And, if you decide to join his list, you will get daily emails. John is not afraid to push the email limits button. But he does so, with great content also helping his readers also. One thing John does where many others fail is daily posts to his blog. This way his readers are always checking back to see what John has been up to and what he is posting about. John treats his blog as a business and not just some one time thing. This is very important for success. He also posts interesting topics and blogs about himself and what he is up to and where he travels. This allows Johns readers to get to know him better. This is important when blogging. Showing who you are and what you do, makes it all the more real for people. John is a super star internet marketer and we have our hats off to him. If you follow John’s success to the letter with the same drive and willingness to succeed, then there is no telling what anyone can accomplish on the internet. We suggest signing up to John’s email list and read his blogs posts and maybe even take notes. You will find simple but yet fantastic information for succeeding online. Many online marketers are all about one topic like seo and social but John combines these for ultimate success. It pays to know and follow good marketers online. There and many things they can teach you to do in your business.